Custom apparel, clothing designs and pattern cutting services in the UK. 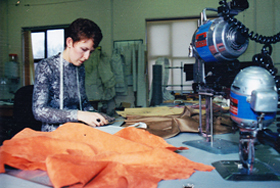 Anderson Apparel Ltd is a small quantity clothing design and manufacture company run by Christine Anderson , award-winning qualified Designer and Pattern Cutter. A made-to-measure service is available for private clients by appointment only. 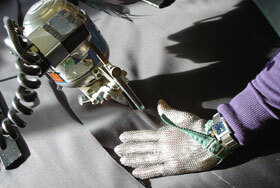 We are qualified in Pattern Cutting and Design and can also offer a Grading service. Whether you need to have a clothing design idea developed into patterns, or already have a set of graded patterns but need small quantity production, or even require a collection of samples for the catwalk - we can assist you. We help designers, retailers, brand developers, promotional companies to take the initial design concept through to the finished product. If you need to discuss your design requirements in a confidential manner with a company that can offer constructional advice with a commercial edge please don't hesitate to contact us.